July 16, 2015 - No Comments! The late 1950's film industry saw a revolution in their medium through names like Federico Fellini and Ingmar Bergman. The primary distinction from their anterior maestros is that these filmmakers had studied their crafts at universities. They understood their semiotics and aesthetics and this strengthened their script concepts and filmic frame. It lead to innovation. It is my belief that we have reached a similar point in the games industry. This Wednesday, Tim Phillips and I tubed and trained our way from Brunel University to Brighton. 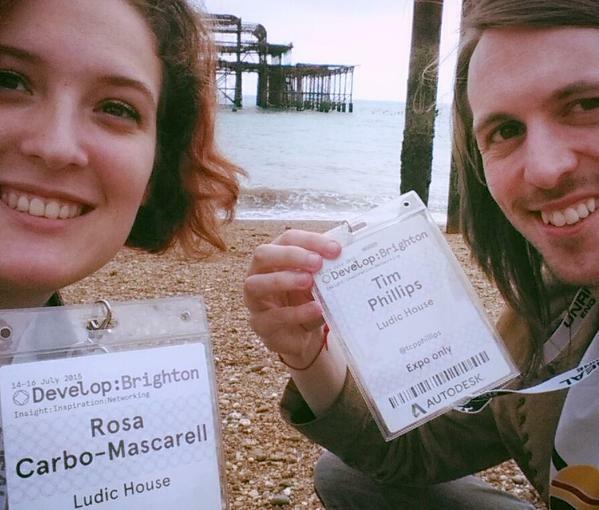 It wouldn't be my first time at Develop: Brighton, a game developer conference where indies dress up like their triangle-breasted characters, academics mentor visiting students, and Peter Molyneux makes ghostly strolls on his phone. Though slightly sleep deprived from days of working on our dissertations, we jumped from stand to stand, playing games and debating the state of the industry with developers and fans. The most innovative game designs are coming out of universities. The boundaries of games were pushed that day by people like Mata and Elwin of SassyBot, Paul Dillon of Cupboard Games and the various students of the National Film and Television School. They have games that break our understanding of agency, transform storytelling or go Dali and take you on an experience on the development of an egg. We are at the game industry's European New Wave where the Henry Jenkin's and the Janet Murray's guide the university student's design decisions and expressive journeys. Through a deep understanding of theory, these developers strengthen their craft. It is no wonder to me that they are coming out of universities. Underneath the burnt shadow of the long-gone Brighton Pier, I watched in wonder as Tim Phillips transformed a traditional hack-and-slash mechanic into a piece-together-narrative, Quantum Leap game in the style ofHitchcock's Rear Window. It is minds like these, minds that understand the theory, who will have the basis with which to break the factory mould of the games industry. University students are going to change games.